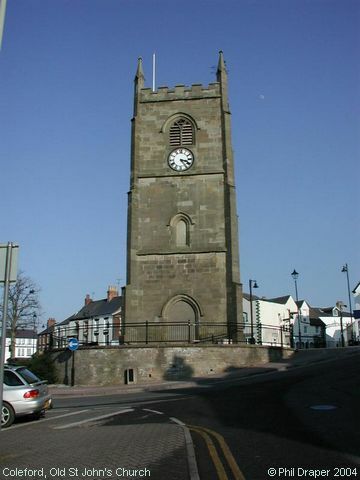 This isolated tower, now in the middle of a roundabout is all that remains of the first church of St John designed by Richard James and built in 1821. The body of the church was octagonal, but was demolished in 1882, after the new church of St John, in Boxbush Road, was built. Salter, Mike - Parish Churches of the Forest of Dean (ISBN: 1 871731 07 0), and commentary from Phil Draper. Image contributed by Phil Draper on 2nd March 2004.